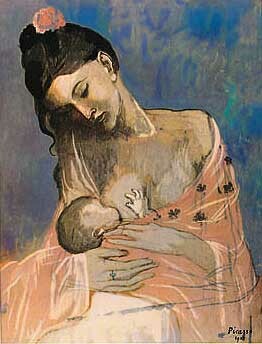 Did you know it’s World Breastfeeding Week? For the past 21 years, the first week of August has been dedicated to the support of breastfeeding women the world over; including initiatives and events aimed at promoting awareness and support within communities. As a practitioner, I am a strong advocate for breastfeeding and have written about it before here. Of course, there are times and situations where a woman is not able to breastfeed, which I also support and have seen many times in clinic. I have no judgement either way, as I know each person is doing what’s right for them. Everyone is different: your situation, body and baby are all unique. Nonetheless, as this is a ‘week’ for breastfeeding, I’d like to share some naturopathic tips for those breastfeeding mamas in need of support. It’s really important to make sure you are eating and drinking enough when you’re breastfeeding – this is the fuel your body uses to make milk and gives you energy. I understand that organising meals can feel overwhelming, particularly at the start when you’re wrangling a newborn. In this instance, it’s important to call on your partner / family / friends to help you out – it will make a huge difference. It can also be useful to have snacks on hand that are both nutritious and easily consumed with one hand . These can be as simple as vegetable sticks, boiled eggs, natural yoghurt, nut butter on toast, or avocado on crackers. Steer clear of processed foods, particularly those high in sugar – such as biscuits, lollies and chocolate – as these are ’empty’ foods that provide very little nutrition for you and bub. They will also inevitably upset your blood sugar balance, often leaving you more hungry, tired and (dare I say) cranky once the initial sugar high has worn off. As much as possible, opt for food that is fresh, seasonal and healthy. Aim to include good fats (avocado, salmon, olive oil, coconut oil, etc) and protein (free-range meat, fish, eggs, tempeh, etc) into several meals and snacks throughout the day and I promise you, your body will thank you for it. A word on water: if you find it difficult to keep your fluids up – too busy, forget, etc – try carrying a water bottle with you when you go out, and have a couple of bottles in different rooms around the house e.g. bedroom and lounge room. That way, you’re able to grab a drink whenever you need it – and seeing the bottles will act as a useful reminder. Herbs are excellent for supporting lactation, whether you don’t have enough or you’re making way too much milk. I often recommend herbal teas, as not only do you benefit from the diluted herbs, drinking tea regularly also increases your fluid intake. Winning. Herbs such as Fenugreek (Trigonella foenum-graecum), Goat’s Rue (Galega officinalis) and Fennel (Foeniculum vulgare) can be very helpful for mums with low milk supply. These herbs are known as galactagogues and help to increase milk production. They are often used in combination with adaptogenic herbs, such as Withania (Withania somnifera), which help to balance stress and energy. For mums who are producing more than enough milk, herbs such as Peppermint (Mentha x piperita) and Sage (Salvia officinalis) can be useful for slowing the flow. Fenugreek tea is a very well known traditional remedy for increasing breast milk, though you do have to drink significant amounts of it to see the benefits (this is where a concentrated dose of the extract can be handy). In the workshops I’ve been doing with midwives and lactation consultants over the past few years, this topic has come up several times, and the general consensus is that you’ll know you’re drinking enough fenugreek tea when you start sweating it out (it smells a bit like maple syrup). These are just a few simple ways you can boost breastfeeding with food, water and herbs. It certainly doesn’t end here, but this will get you started. My advice would be to begin with what you can manage and continue building healthy practices over time. If you are struggling with breastfeeding, it’s important to ask for help. The ABA have a breastfeeding helpline, which is free and available 7 days a week (1800 686 268). You can also arrange for a lactation consultant to visit you in your home, something that many women find invaluable. And someone like me will work with you to make sure you’re getting the best nutritional and herbal support possible. Have you found any other remedies that worked a treat for you? If you would like some advice and support while you’re breastfeeding, come and have a chat to me at Uclinic.